It arrived today. I am VERY happy with it. Thank you for your perseverence in getting me to voice my concerns. It's perfect. 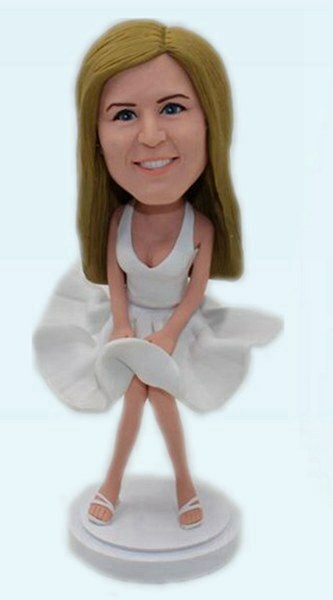 Realbobble- Wow, We Can Make You Into Bobble Heads Dolls! We 100% handmade your custom bobbleheads with Polymer Clay - the color is the clay itself, NO PAINTSon the dolls, so the final product is actually brighter, true 3D likeness and higher quality. Realbobble offer FREE approvals in the different stages during the creation of your hand sculpted bobblehead doll, ensuring max satisfaction.